We offer high quality LITHIUM-ION RECHARGEABLE BATTERIESwhich are being widely appreciated for their high quality and durability. These are being offered to the clients at competitive prices and are being safely and timely delivered to our clients. We test these batteries stringently before exporting them to the clients to ensure complete client satisfaction. Our range of rechargeable batteries includes Li-Ion rechargeable batteries, NICD rechargeable batteries, NIMH rechargeable batteries and alkaline rechargeable batteries. 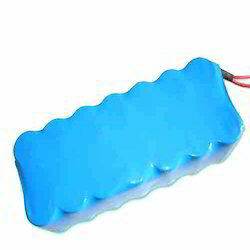 We offer a diverse range of High Performance Battery Packs of superior quality. These are known for high performance, long battery life, reliability and efficiency. They are available in different sizes as per the requirement of the clients. We provide Lithium Ion Rechargeable Batteries to our clients with high quality and durable rechargeable batteries which are procured by our agents by keeping in mind the client satisfaction. 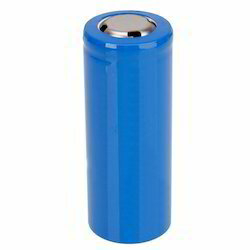 We are one of the leading manufacturers and supplier of750mah Lithium Ion Batteries. 3.7V 750mAhLi-ionW - 4.50mm + 0.5mmL - 34.50mm +- 0.5mmH - 50.50mm +- 0.5mm. Looking for Lithium-Ion Rechargeable Batteries ?